A natural disaster has struck the same stretch of river twice in a matter of weeks, resulting in the death of up to a million fish. 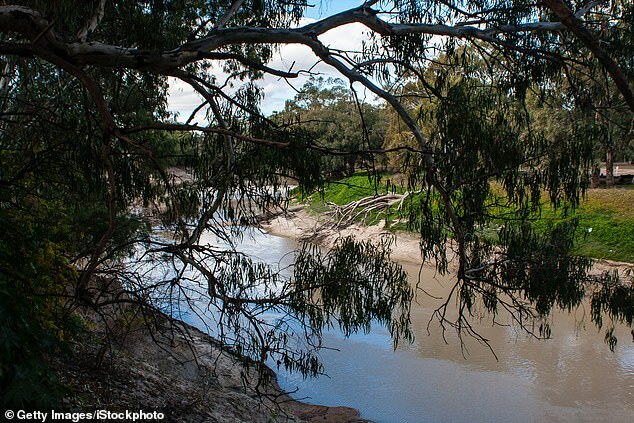 Hundreds of thousands of fish have been killed along a 40-kilometre section of the Darling River, in far west New South Wales. It’s believed the mass deaths occurred because of the dramatic shift in water temperature which caused algae to die. When the plants died, they decayed and drew oxygen from the water, which sadly suffocated the fish. 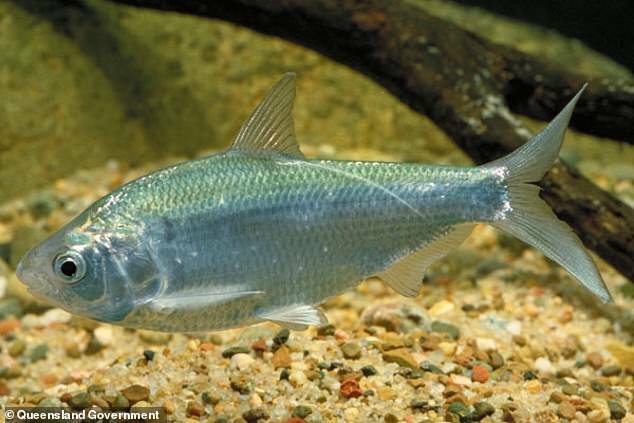 Native species, including Bony Bream, Marry Cod and Perch are thought to have been just some of the breeds affected, according to ABC News. 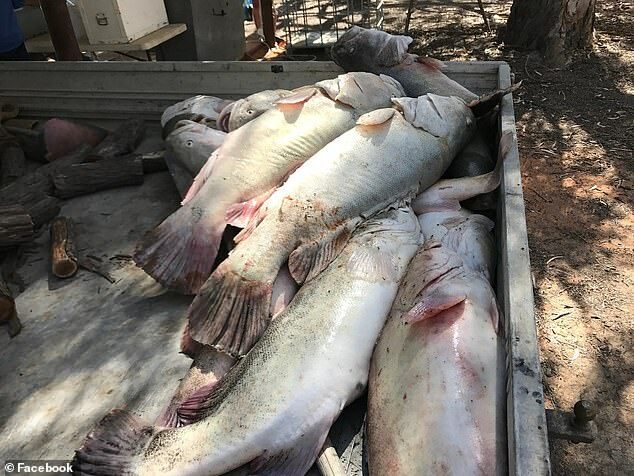 In a fluke phenomenon, the same section of riverbed in the freshwater lakes of Menindee, near Broken Hill, suffered a similar natural catastrophe just before Christmas where an estimated 10,000 fish died. The Department of Primary Industries’ Fisheries Manager Iain Ellis told reporters this is the first time he’s seen two such sad and shocking fish kills so close together. He said: ‘I’ve never seen two fish kills of this scale so close together in terms of time, especially in the same stretch of river. ‘In both cases it’s when the algal bloom has been disrupted. ‘The first time due to a storm, and in this case, by the cold front that went through,’ he explained. 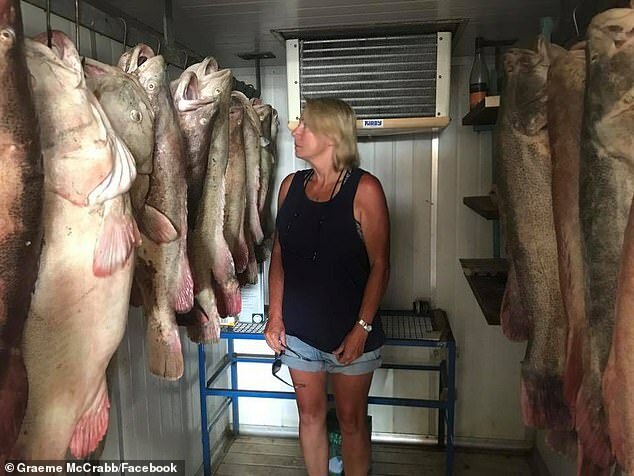 Local residents have been taking to social media to share the shocking images of the lifeless fish. One man took to his Facebook account to attribute the incident to the lack of water in the lakes. 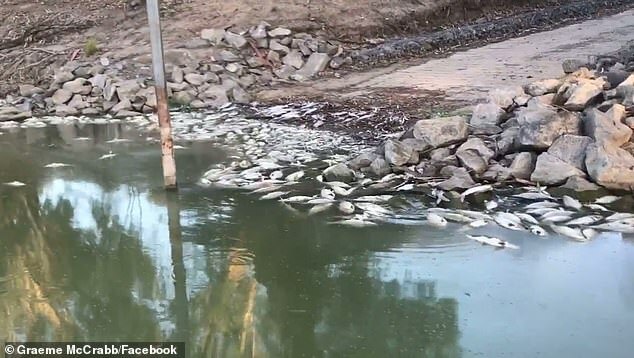 He wrote: ‘Fish still dying in the Darling at Menindee this morning 10’s of thousands yesterday there be 100’s of thousands if not in the Millions today! Another resident called for the government to adopt a ‘whole system approach’ to more effectively manage the water. However, a spokesman from the Department of the Environment and Energy denied the fish kill was due to the mismanagement of water.